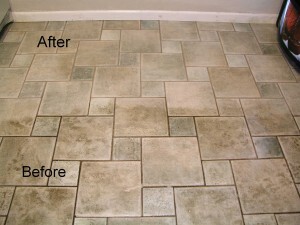 Tile Cleaning and Sealing experts in RYDE! If you want tile cleaning in Ryde 2112, or a round of tile cleaning and sealing in Ryde, or if you want tile sealing in Ryde or tile grout cleaning in Ryde 2112, then the tile and grout cleaners in Ryde from Franklean Carpet & Tile Cleaning Company will take care of it all for you. Our service areas extend up to the RYDE and Sydney, NSW areas. And our cleaner is well-qualified and definitely experienced to take care of the end-to-end tile and grout cleaning and sealing services. Having understood what we will do in the world of tile cleaning and tile sealing, do you want to specifically know what is the tile seal or sealer that is used and the range of washing and cleaning services Franklean Carpet & Tile Cleaning Company will engage in. 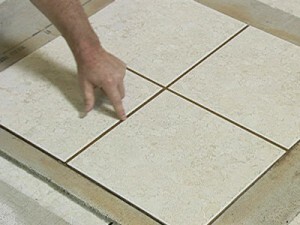 The cost and price are ideal for the Tile and Grout Cleaning in RYDE and Sydney, NSW roundabouts! Who doesn’t like clean, sparkly, shiny tiled surfaces? Every one of us does. And so, in this regard, if you are looking at sprucing up the kitchen and bathroom tiles, you need experienced personnel or cleaners to take care of it. Along with this, another criterion, of course, would be the price. Is the price, right? How costly or expensive is it and so on and so forth? Can the cleaners help wash, seal and get the dirty grout cleaned well? And just suppose the price is all fine and it is cheap too, but does it mean there is some compromise in terms of experience? That is a lingering doubt anyone is bound to have. So, to negate those lingering thoughts for you is Franklean Carpet & Tile Cleaning who have a purpose in place. And that is to offer timely, cheap and low-price tile and grout cleaning service and related services of course and this way, all the discolored tiles in your bathroom, shower and kitchen areas will have a new lease of life. Not just this, impregnating grime, dirt, and stains too will be effortlessly removed and new sealers will be placed so as to contain or curb the impregnating of grime, dirt, and stains over time. Rather it will be delayed and till such time the tiles and grout will look good. A point we would like to make here is that after cleaning and washing of tiles, a microfiber cloth is also used to clean it up completely. Always remember, our cleaning services and cleaners can be available at short notice or in the event of an emergency, we are right there. So, if you want the tiles to be cleaned well, on a short, emergency basis, then the emergency cleaning and washing of the tiled areas will be handled by Franklean Carpet & Tile Cleaning even if it were an emergency. Why is it imperative to hire an experienced cleaner and washer for tile and grout cleaning and washing services? If the tiled surfaces are stained, faded, tarnished and discolored and need a wash, and includes grout cleaning and sealing then an experienced cleaner or washer who can help clean well and put on the sealer is who works best. The tiles are the standing reflection of the kitchen and bathroom zones. And so, with time, usage and general wear and tear, grime, stains, and dirt will definitely be impregnating it and this way, it will seem all dull and lifeless and discolored. This will definitely not look good on the homeowners and if guests were to drop in, they will definitely take note of it and will not be impressed. Most of all, just suppose you are planning on putting your house in the real estate market, then you cannot afford to have unclean tiles or not keeping the tiles clean and not washing the tiles and grout in a manner that it doesn’t look all shiny and sparkly at any given time. So, that is why it is very important to have experienced cleaners to handle the tile washing, cleaning, and sealing. Specialized tile cleaners have a set practice in effect. Most times, they rely on a microfiber cloth to service, clean and wash and keep it looking nice and shiny. This is furthermore to using good, effectual cleaning materials so as to have the impregnating grime, stains and dirt cleaned and removed well. Proficient cleaners know very well, as to apply sealers, the way to seal to the tile and grout areas so as to make sure that there are no holes or breaks in the tiling. Or no area is missed in the process of sealing. So this will doubly-ensure that dirt will not seep into the cracks and the seal and sealer will help curb that. It may sound unbelievable, but it is accurate. By hiring experienced tile cleaners, sealers and washer, the price is not going to be very high. Instead, it will be factual and cheap. This is because expert cleaners have good plan and experience so that they know what needs to be done where and how much time is required and how to go about it all in the first place. Why hire Franklean Carpet & Tile Cleaning service for Tile & Grout Cleaning and Washing in Ryde? The price is cheap, pocket-friendly and for the price asked, the services are superlative. Our expert cleaner and washer jolly well offers good and dependable services and it will definitely leave customers’ happy and satisfied. We have a set process that we follow. For everything there is good equipment, cleaning materials and of course, a microfiber cloth to keep the tiles clean and shiny. If ever an emergency tile cleaning service is asked for, then the cleaners attend to it immediately. If you are more than convinced and want to reach out to Franklean Carpet & Tile Cleaning, you can contact us on 0411 181 990 or write to us at frankleansyd@gmail.com.